There is a lot going on in your game, and while their characters shape the world around them, players sometimes find it hard to keep track of things they need to remember. 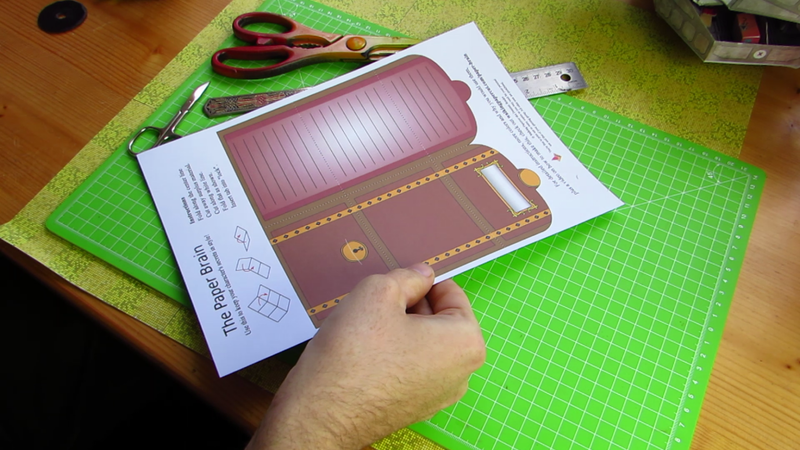 Enter the paper brain, a handy and good looking gaming aid that allows you to take notes and keep an inventory of things that need remembering. Need an example? 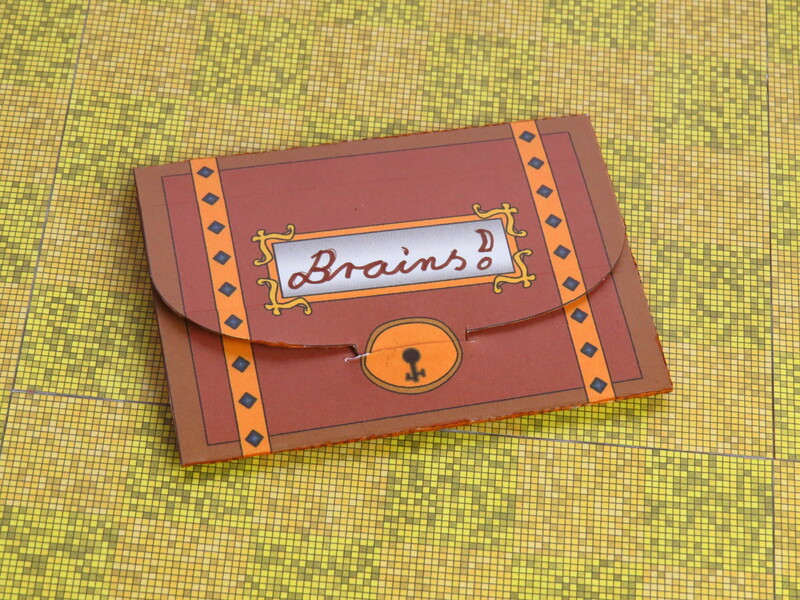 Check out the Story behind the Paper Brain below! You can get the paper brain for free, no sign-up required. I would still appreciate it if you joined my email list (on the right) so you do not miss any updated in the future. 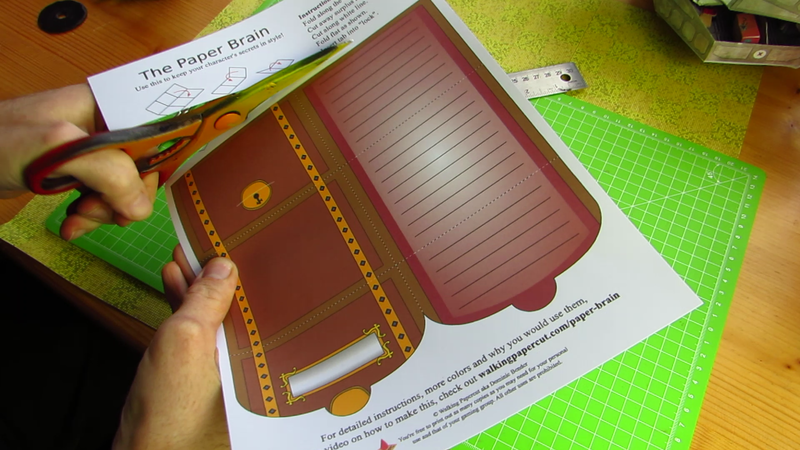 Download the Paper Brain by Walking Papercut here. You need a way to open pdf-files to access it. Free ones like Adobe Acrobat or FoxitReader should do the trick. There is a quick instruction on the page you can download, but here is the long and more detailed version. You can also find a video tutorial here. First, you need to print the page, which should not come as a surprise. I recommend printing on cardstock (220 g/m²). 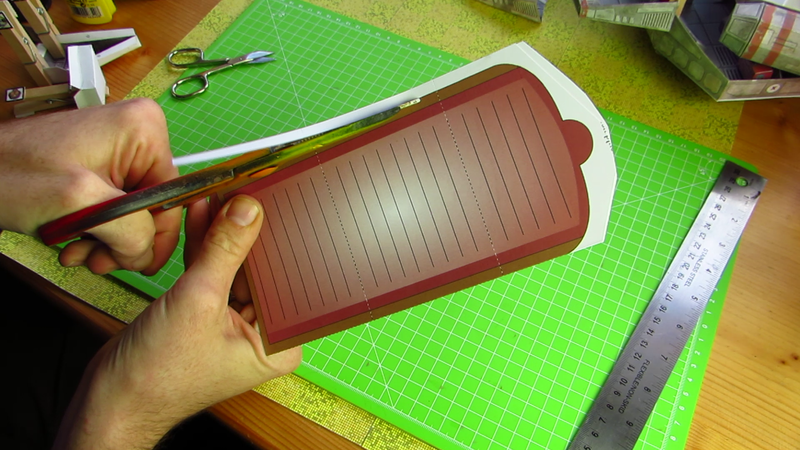 Then, cut away some of the surplus paper to save on glue, but do not cut all the way to the line yet. Next, score all the dotted lines. 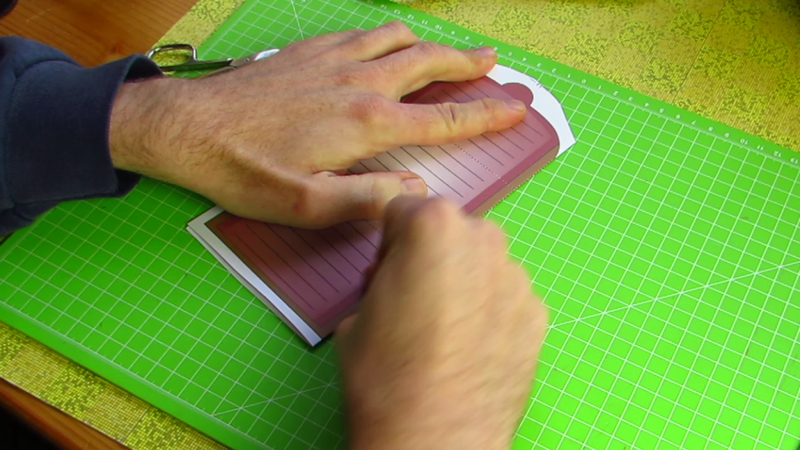 I do it with a blunt edge, but using a hobby knife to gently score the paper works, too. Fold along the long dotted line and make sure to crease the fold hard. I use a fingernail for that, but the blunt edge works, too. 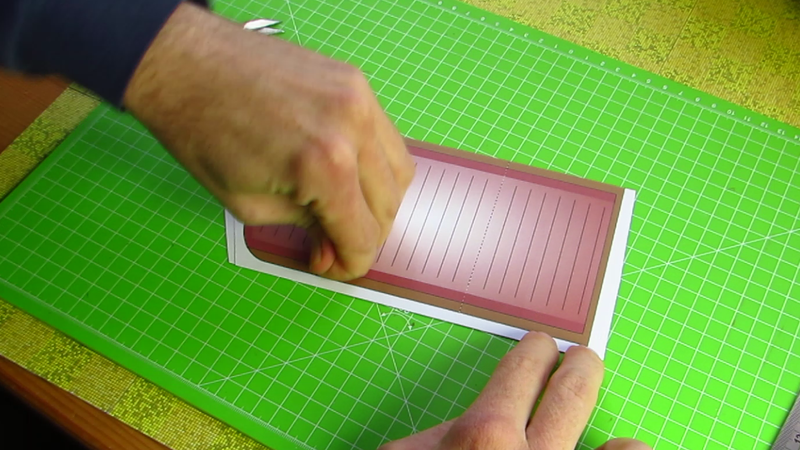 Then apply glue to the back of one-half of the paper brain. Press the halves together, starting at the fold and working your way outward. Again, use fingernails or your trusty blunt edge. 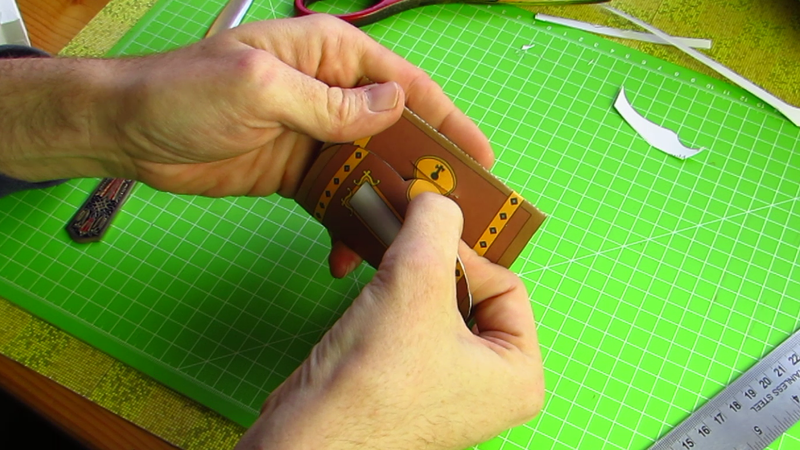 Flip over and do the same to prevent warping. 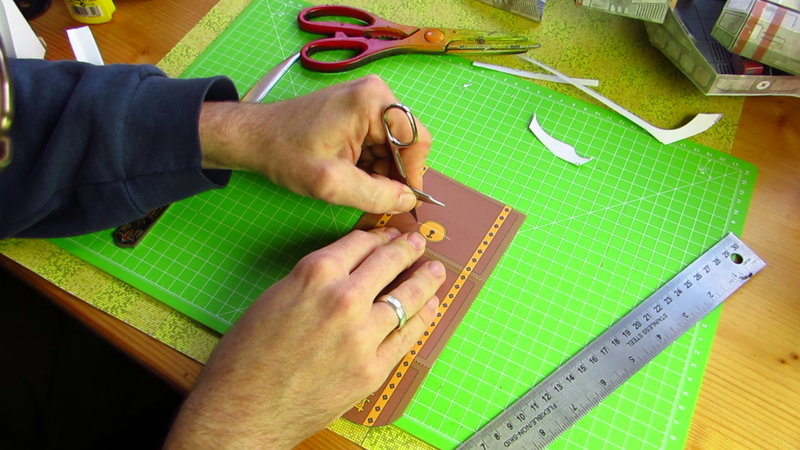 Trim the sides – this is to account for possible misalignment from the glue-up. 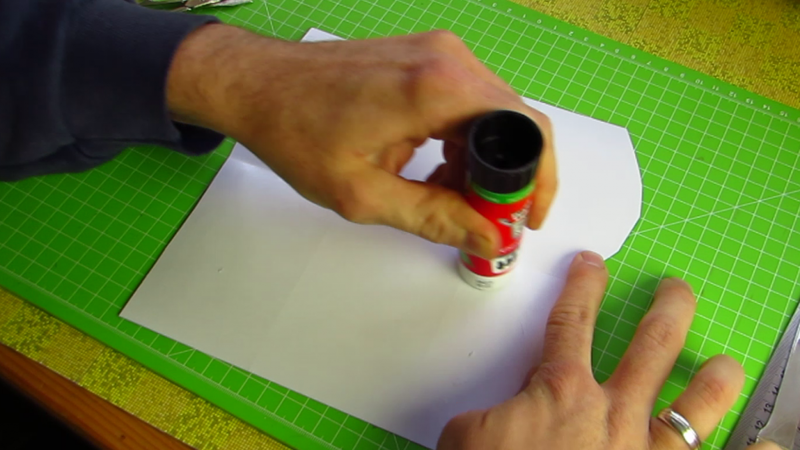 Use a hobby knife or pointy scissors to cut the white line near the lock. 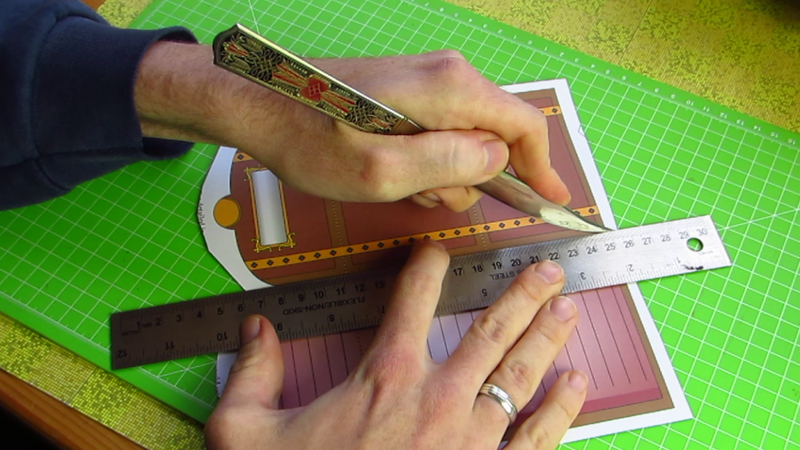 Re-score the remaining dotted lines, then fold the two remaining lines and make sure to crease them well. You know, nails or blunt edge. 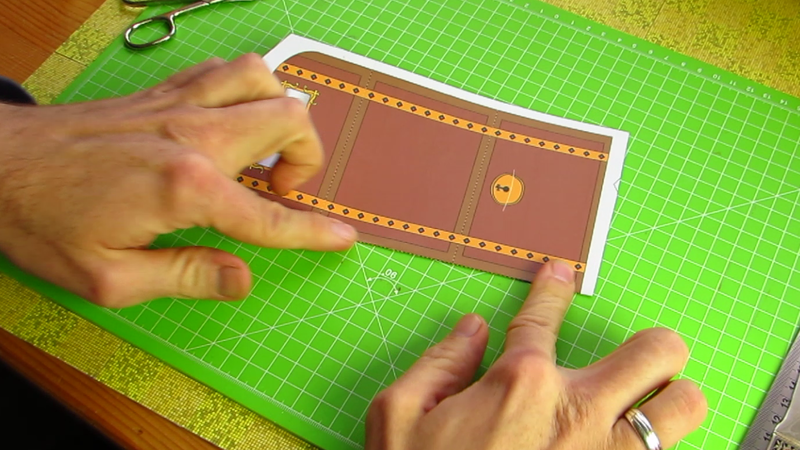 Insert the flap into the cut you made earlier. 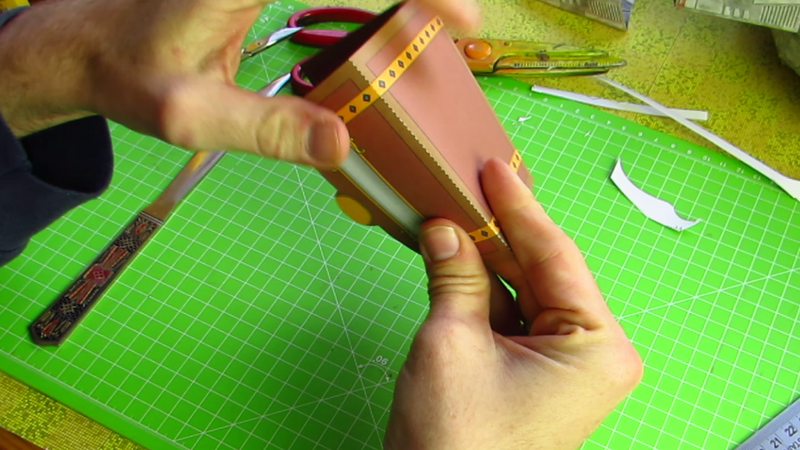 To make it look better you can use a felt marker to color the whole cutline. Black works well, but you can use something closer to the color of your paper brain as well. A while back, our party was facing off against a cult, one that dabbled with things that should not be dabbled with. At one point, they learned that the cult was planning to unleash something nefarious in a cosmic metropolis, and exactly where they would try. If you are into Dungeons & Dragons, they were planning to summon the Elder Elemental Eye to Sigil. So our party did what any self-respecting world-savers would do – they made their way to that metropolis. And it was not an easy one. So when we sat down a few weeks later – there had been some issues with finding a spot for another session for a while – they entered the city, sought out some old friends, and did their best to gather information. It was a fun session. We even made headway in learning the secrets of that cult. And then the dungeon master (full disclosure: yours truly) tells them about that pair of cultists who wait around at a fountain where they had been told to meet with a group of adventurers to deliver a message. When they did not show, the cultists decided to carry out their secondary mission – conduct a ritual. The session ended with the party fleeing Sigil while the Lady, ruler of the town, did her best to keep the elemental eye, a black blob of sheer evil, at bay. How could that happen? It happened because we – or rather they, the players – forgot an important bit of information they had been given. Yes, I could have reminded them. Maybe I should have. But frankly, this way it made for a memorable event, and the conception of the paper brain. Now every player has one, to take down important tidbits of information. The idea is to keep it short. This is not supposed to be an inventory, but a reminder. Yes, you can use an ordinary piece of good ol’ paper. But where would be the fun in that? Thanks for stopping by, and make sure to share the Paper Brain with your friends. Let me know what you think, and as always, remember to be Inspired!